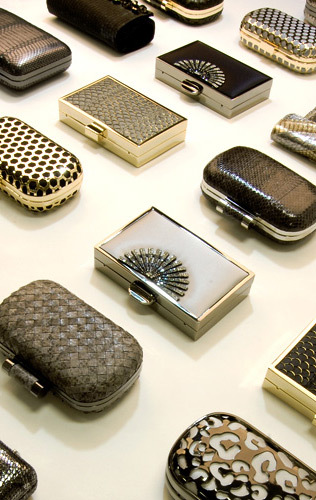 Stylish and elegant, this metallic minaudiere is made of embossed leather and features a sparkling custom SWAROVSKI ELEMENTS crystal ornament. A perfect handbag for when you want a little sparkle on your arm, such as weddings, galas and holiday parties. 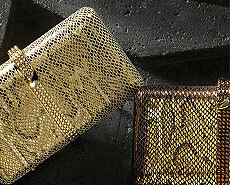 Wear it as a chic crossbody evening bag or detach the chain to carry it as a glamorous clutch.